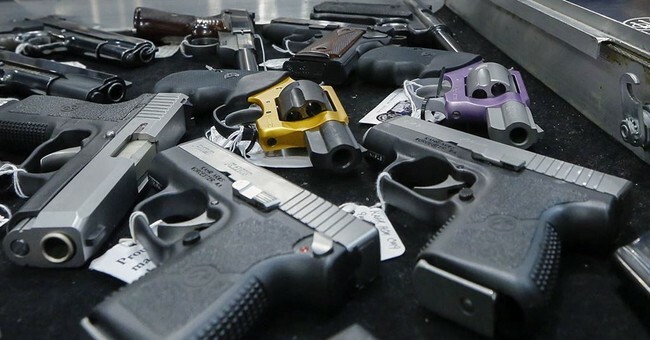 Gun stores are required by federal law to conduct a background check on each gun purchase, the only exceptions being those in some states with valid carry permits. Unfortunately, those people working behind the counter are humans, which means there are plenty of ways that those background checks might not happen quite as intended. In some cases, the dealer willfully chooses not to conduct a background check. In others, someone just screws up, kind of like what apparently happened at an Academy Sports in Oklahoma. Brendan Green went to the Edmond Academy a few days before thanksgiving to purchase a .22 rifle. He wanted to use it to go shooting with his brother. It was his first time purchasing a firearm, and there were no problems. He walked out of the store approximately 30 minutes later with his firearm in hand. But, he got a call from the store first thing the next morning. “He’s like ‘We’re going to need you to bring that firearm back as soon as you can. You were not supposed to leave the store with that firearm, and we messed up,’” Green said. Green was told he was actually on “delayed” status and they had made a mistake letting him take it. Green recorded the encounter, and apparently, the employee acknowledged he screwed up by letting Green leave with the gun, but yeah. This isn’t a good thing at all. But it’s a human thing, and it’s clear the store was trying to fix it, but it happens. I made a gun purchase right before Thanksgiving myself, and the clerk almost allowed me to walk out with a gun without even doing a background check. It wasn’t because she was trying to hook me up, it was because she was new and forgot all about doing one…until about four seconds before running my card. Like I say, it can happen. But it’s not a good thing by any stretch of the imagination. That’s about what one can expect. Luckily, Green was a law-abiding individual. Otherwise, there could have been a big problem. A criminal who suspect he was about to lose his new gun might not have. That would have put one more gun on the street in the wrong hands, and it would have given the entire firearms sales industry a black eye. Academy Sports dodged a bullet there, but I understand Green being not just annoyed, but concerned. This is not a good thing for any of us, either. While the gun grabbers are trying desperately to paint anyone and everyone connected with firearms as either an idiot, crazy, or criminal, the last thing we need is a gun store selling guns without having the proper paperwork and background checks completed. At least Academy did what it could to comply with the law. There’s no way that could have been easy.